Why does LastPass hash their passwords with PBKDF2 this way? The client application derives your encryption key using standard PBKDF2 with your master password, a variable number of iterations (5000 is the default, but you can set whatever you like), and your email address as the salt. The resulting encryption key is used for encrypting and decrypting your vault information. For the purposes of authentication with their servers, they then take that encryption key and hash it using PBKDF2 again, this time using the previously generated encryption key as the password input and the user's master password as the salt. This is done with just 1 iteration. The resulting hash is then transmitted to the LastPass servers where (according to their FAQs since I cannot see their server source code) they again use standard PBKDF2 with a random salt and 100,000 iterations. I am confused about the key hashing process that they are doing. It appears that they are using PBKDF2 as a means for computing a SHA256 hash to protect it during transmission to their servers. Can you explain what using PBKDF2 with 1 iteration is doing in the above? Is this the same as just doing something like a HMAC SHA256 hash? Are there any concerns with something like a compromised server receiving this hash and being able to derive anything from it about the original encryption key or master password (prior to the stored hash being computed)? This is mostly HMAC-SHA256, but you can declare how many bits of derived key you want. I assume it is used this way for ease of implementation (it's easier to have one working implementation of PBKDF2 than many primitives arranged in complex way). 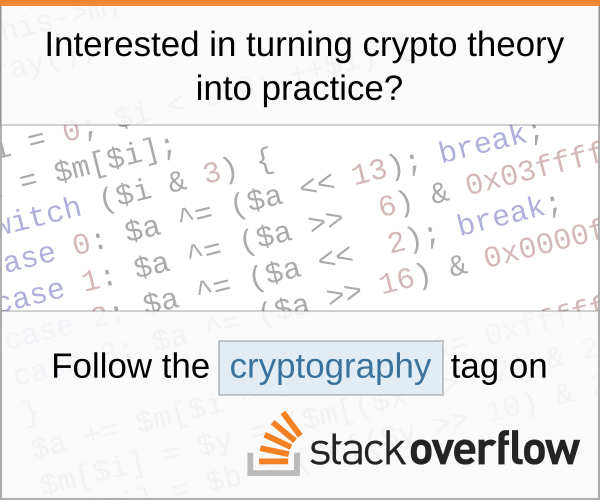 No, this is nearly impossible to do because as long as SHA256 is one way. It is very unlikely that SHA256 will be broken in such way (MD5 and SHA-1 have collision attacks only). If anything, this will leak if password was changed, because there is no random part added before it is sent to server, which is design flaw (unless they do something extra which you omitted). Also, as SEJPM noticed, it is weird that only 5k iterations are done on user device and 100k iterations on their server. This would put server in better position to perform a brute-force attack. However, 5k iterations on client seem very low for most computers, and probably should be adjusted anyway. Not the answer you're looking for? Browse other questions tagged encryption key-derivation sha-256 pbkdf-2 pbkdf or ask your own question. AES file encryption with PBKDF2. Safe parameters? Does having an SHA256 hash compromise PBKDF2 secrecy?